It must be frustrating for the most fervent acolytes of this 'Brexit-Come-what-May' Conservative Government. They have fought an exhausting campaign - spanning several decades for some of them - holding aloft the highest of ideals about British sovereignty and the supremacy of Parliament in the delivery of British laws made in Britain by British institutions, only to have their vision of Brexit challenged and scrutinised by those same institutions. After several Brexit defeats in the House of Lords even some of the most gammon-faced of Tory purists have become ardent advocates for Lords reform. It seems sovereignty is all a little too frustrating in practice. The Governments response to its recent EU Withdrawal Bill set backs in the upper chamber has been to grant several new pro-Brexit peerages in an effort to build a majority in the Lords in favour of the Government. One such peerage has been given to William McCrea of the DUP. A man who has dubious links with Northern Irish paramilitary organisations, a man who has shared platforms with some of the most rancorous antagonists of the troubles and who, in 1986, called for RAF air strikes against the Republic of Ireland. 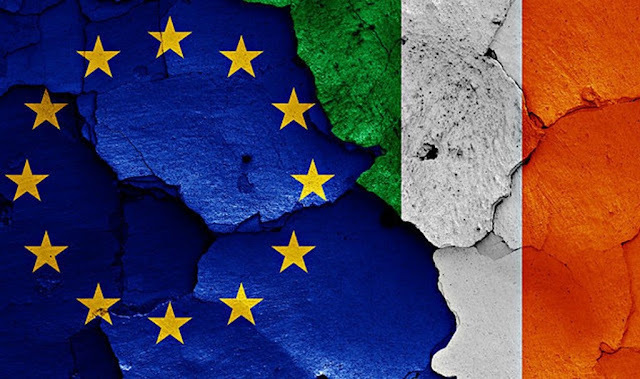 The question of the Irish border and the post-Brexit relationship between the Republic, the North, Britain and the EU will likely be one of the most complex, contentious and diplomatically sensitive aspects of the Brexit negotiations. From which ever side of the debate we enter from we must all agree that Ireland is one land - if not one nation - that Britain has divided, yet it is also one whose constituent parts are intrinsically connected through business and infrastructure but also culture and a shared history. It is the reconciliation of that shared past that the Tories are jeopardising now. Does Theresa May really believe that ramming her deal through Parliament is worth escalating tensions in Northern Irish communities? She is playing Westminster games but it is not Westminsters peace she is threatening. How are Catholic communities to react to seeing such a man receive such patronage? For many nationalists this will be as galling as it is for unionists to see Sinn Fein MPs elected but never present in Parliament. At a time when Theresa May should be showing solidarity with border communities, when she should be working to restore a functioning Northern Irish Assembly and fostering goodwill between the dependant economies of the Republic and the North her Government is instead firmly in the hands of a few hardline Tory Brexiteers who do not understand the complex situation in Northern Ireland and do not care to understand it. Throughout the centuries Britain has had an immense global impact for both good and ill, but there are few places where our footprint has brought more violence, oppression and intolerance than in Ireland. The British Government has a duty to help the Governments of Stormont and Dublin reach a new border arrangement that preserves the integrity of the Good Friday Agreement and at a time when London-centric decision makers view the provinces as alien curiosities, those of us in Britain with an Irish connection have a responsibility to speak out.